Amazing Voyages, also referred to as the Company herein, wants you to enjoy your holiday of a lifetime with complete success. Please read the following conditions carefully as it is your contract with Amazing Voyages. By booking a trip with Amazing Voyages, you agree to be bound by these Terms and Conditions which outline, among other things, our cancellation policy and certain limitations of liability. These Terms and Conditions affect your rights and designate the governing law and forum for the resolution of any and all disputes. The quote given by us will be valid for 7 days from the date of your first enquiry. If you have any questions whatsoever regarding your holiday, the booking procedure or conditions of sale then Amazing Voyages will be happy to answer them for you. Quotes do not apply to international flights to and from your destination or within the country of destination. These quotes are often valid for a short number of days and on some occasions only one day. Once a flight is quoted, the flight must be paid for immediately and purchased on that day or if possible the next day to ensure the validity of the quote. Our prices do not include international airport taxes, meals not specified in your itinerary, personal expenses, personal insurance, tips and baggage porterage. The contract is between Amazing Voyages (also known as the company) and the client, being any person travelling or intending to travel on a tour operated by the company. You, the client are subject to have read and understood our travel policy as outlined below. By making a booking by telephone, or through the website, or by email or facsimile with the Company or its Agents, you accept and are bound by these Terms and Conditions. These Terms and Conditions shall constitute the entire agreement between the Company and the Client relating to the subject matter herein, and shall constitute a binding agreement. There is no verbal or written representation, warranty, collateral agreement, prior agreement, description of services, or conditions, other than as expressed herein. The service to be provided is/are the tour(s) referred to in the booking confirmation. To guarantee a reservation, Amazing Voyages requires a fully completed booking form (either the one on our website or the one sent by us with your quote) together with the necessary deposit payment as stated at the time. Clients are deemed to have read and understood the conditions of sale and to have indicated this by choosing the appropriate response on the booking form. A booking is accepted and becomes definite only from the date when Amazing Voyages sends out a written confirmation invoice (once we have received your deposit payment) at which point a contract exists. Amazing Voyages reserves the right to decline any booking at their discretion. In order for the Company to confirm and guarantee the Clients travel arrangements the Client must provide all client details with their initial payment or no later than 60 days prior to the start of the tour, last minute bookings excluded. If the Client does not provide all client details within 60 days before departure, a fee of £25.00 will be charged to the file. In the event where client details have not been received by the Company 30 days prior to the Clients trip departure, the Company reserves the right to treat the file as cancelled and full penalties will apply. Client details include passport number, copy of passport details and medical form (where applicable), full name, date of birth and nationality. In order for the Company to confirm and guarantee the Clients travel arrangements the Client must provide all client details with their initial payment or no later than 60 days prior to the start of the tour, last minute bookings excluded. If the Client does not provide all client details then the booking will be cancelled and cancellation charges will apply. Prices quoted remain valid for 7 days from the date of your first enquiry. If we receive the deposit payment on or before the 7th day of our quote, we guarantee not to surcharge you. Amazing Voyages reserves the right to increase the tour cost to take into account the following items: government actions, currency fluctuations, transportation costs (including the cost of fuel), airport charges and an increase in scheduled air fares. Amazing Voyages will absorb a sum, equal to 2% of the tour cost, should a surcharge be necessary. This does not apply to government taxes, imposed after publication of our programmes, insurance premiums and amendment charges. The client will have to pay any sum in excess of this 2%. If the surcharge results in an increase of more than 10% of the tour cost, government taxes and amendment charges, the client may postpone their trip within 7 days of notification. You will be notified of any such surcharge no later than 4 weeks before departure. An administration fee of £25 per person will be charged if a confirmed booking is changed or transferred to a different departure date or tour, up to 60 days prior to departure. Thereafter all changes will be treated as cancellations and subject to charges as below (see 8.Cancellation by you). If a client is unable to travel, in circumstances which Amazing Voyages considers reasonable, then the booking might be transferred to another suitable person, however the tour arrangements must remain the same and if all suppliers (including airlines) agree to accept the name change. If a transfer is allowed then an administration charge of £25 per person will be made if the company is notified up to 60 days before departure or £50 per person if less than 60 days, plus any extra charges levied by our suppliers. (a) Changes made by the Company: The Company reserves the right to change any of the facilities, services or prices described in the brochure or website before a booking is made. If such a change is made, the Client will be told at the time of booking or when the change occurs. While the Company will endeavour to operate all tours as advertised, reasonable changes in the itinerary may be made where deemed necessary or advisable by the Company. If the Company makes a major change the Company will inform the Client as soon as reasonably possible if there is time before departure. 13 days to date of travel: £25 per person. Amazing Voyages will not pay compensation if forced to cancel or change your tour because of war, threat of war, riot, civil strife, industrial dispute, terrorist activity, natural or nuclear disaster, fire or adverse weather conditions, epidemics or health risks, technical or maintenance problems with transport, closed or congested airports or ports, changes imposed by re-scheduling or cancellation of flights by airlines, the alteration of airlines or aircraft types, or similar events beyond the control of Amazing Voyages. Consolidation refers to the fact that some tours, known as fixed departure tours, are dependent upon a minimum number of persons participating (this being four). Amazing Voyages is not liable for any penalty charges associated with "supersaver"-type connecting rail or airfares, in the event of a change to a tour departure time, date or airport. Amazing Voyages reserves the right to cancel a tour in any circumstances but will not cancel a tour less than 8 weeks before departure, except for force majeure, consolidation or the client's failure to pay the final payment. Unless the client fails to pay the final payment, Amazing Voyages will return all payments made or offer an alternative tour of comparable standard and will pay compensation on the scale as shown above. No compensation will be paid if cancellation is due to force majeure or consolidation. (b) Amendments: Within 60 days of departure any amendments to a file will depend on availability and will be on a request basis. Any extra costs incurred for making the change will be charged along with an amendment fee of £25.00. No amendments are permitted to your booking within 10 days of departure. Amazing Voyages reserves the right to cancel any trip before it is guaranteed to run, but will not cancel a tour less than 60 days before departure. A trip is guaranteed to run once it has one fully-paid traveller, unless minimum numbers state otherwise. This applies to departures within the brochure validity range. Amazing Voyages reserves the right to cancel any trip, including a guaranteed trip, at any time prior to departure due to terrorism, natural disasters, political instability or other external events which make it unviable for the Company to operate our planned schedule. If Amazing Voyages cancels a group trip on which you are holding a full-paid booking you may choose between an alternative trip or a postponement of the trip for a future date. The Company is not responsible for any incidental expenses that you may have incurred as a result of your booking or re-bookings such as visas, vaccinations, non-refundable flights or loss of enjoyment, etc. If the alternative trip chosen is of a lower value than that originally booked then you are entitled to a credit in favour to another tour for a future date of the price difference. If the alternative tour is chosen is of a higher value then you will pay the difference in price. Note: scheduled airlines may impose 100% cancellation charges. Should the client wish to cancel, cancellation charges will be imposed. These are calculated from the day written notification is received by Amazing Voyages. You are strongly advised to take out cancellation insurance at the time of making the booking as this will cover cancellation charges in certain circumstances. (Note: such insurance will not cover a change of mind). There will be no discounts, postponements of tour or monies refunded for missed or unused services, this includes voluntary or involuntary termination, ie. sickness, death of a family member, etc. Amazing Voyages is not responsible for any additional expenses incurred such as additional hotel accommodation, meals, additional transportation costs etc as a result of unexpected changes in your trip due to a change in airline scheduling, cancellation of flights, bad weather, war, threat of war, riot, civil strife, industrial dispute, terrorist activity, natural or nuclear disaster, fire or adverse weather conditions, epidemics or health risks. Should the client have a complaint about any of the tour arrangements, it is a condition of the contract that you tell our local representative at the time. Failure to complain at that moment in time will deny us the opportunity to investigate and rectify the problem and thus render Amazing Voyages unable to accept any form of responsibility. If the client has a dispute with Amazing Voyages which Amazing Voyages is unable to resolve then please write to us within 28 days of your return and we will investigate further. Travel insurance is highly recommended for all clients who book a tour with Amazing Voyages and we advise a minimum coverage of £40,000 which must cover personal injury, medical expenses, repatriation expenses, evacuation expenses, cancellation and curtailment. It is our policy to check the validity and cover of your insurance policy and we hold the right to refuse travel to anyone whose insurance does not satisfy these criteria. If you choose not to purchase travel insurance, you will be required to sign a waiver form acknowledging your acceptance that insurance was recommended but you refused and should the need arise for change or cancellation of your tour or if you incur any expenses such as medical expenses, that the Client will be responsible for all such extra costs. For insurance purposes all clients are required to complete our Amazing Voyages Medical Form which must be signed and dated by a practicing physician (if there are any pre-existing conditions) and sent to us no later than 30 days prior to the start of your tour. In the event where the Client has made a booking with the Company and subsequently is unable to complete the required medical form for any reason before the 30 days prior to the start of your tour, the Company reserves the right to treat the booking as being cancelled as per the day of notification and applicable cancellation charges will apply. 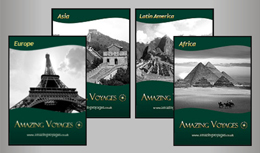 Amazing Voyages is a registered limited company in England and Wales, registered no. 6544684. Amazing Voyages also holds an ATOL license, number 9882 which provides full financial protection that protects your flights and holidays as well as your money in the event of the company going out of business. When you buy an ATOL protected flight or flight inclusive holiday from us you will receive an ATOL Certificate. This lists what is financially protected, where you can get information on what this means for you and who to contact if things go wrong. We, or the suppliers identified on your ATOL Certificate, will provide you with the Services listed on the ATOL Certificate (or a suitable alternative). In some cases, where neither we nor the supplier are able to do so for reasons of insolvency, an alternative ATOL holder may provide you with the services you have bought or a suitable alternative (at no extra cost to you). You agree to accept that in those circumstances the alternative ATOL holder will perform those obligations and you agree to pay any money outstanding to be paid by you under your contract to that alternative ATOL holder. However, you also agree that in some cases it will not be possible to appoint an alternative ATOL holder, in which case you will be entitled to make a claim under the ATOL scheme (or your credit card issuer where applicable).” If we, or the suppliers identified on your ATOL certificate, are unable to provide the services listed (or a suitable alternative, through an alternative ATOL holder or otherwise) for reasons of insolvency, the Trustees of the Air Travel Trust may make a payment to (or confer a benefit on) you under the ATOL scheme. You agree that in return for such a payment or benefit you assign absolutely to those Trustees any claims which you have or may have arising out of or relating to the non-provision of the services, including any claim against us, the travel agent (or your credit card issuer where applicable). You also agree that any such claims may be re-assigned to another body, if that other body has paid sums you have claimed under the ATOL scheme. Clients agree to accept the authority and decisions of Amazing Voyages employees, tour leaders and agents whilst on tour with Amazing Voyages. If in the opinion of such persons the health or conduct of a client at any time before or after departure appears likely to endanger the safety, comfort or happy progress of a tour, then the client may be excluded from all or part of the tour. In the case of ill health, Amazing Voyages may make arrangements, as it seems fit and recover the costs thereof from the client. If a client commits an illegal act, he/she may be excluded from the tour and Amazing Voyages shall cease to have responsibility to/for them. If you are affected by a condition, medical or otherwise, that might affect other peoples' enjoyment or active participation of the tour; you must advise us at the time of booking and indicate this in the Amazing Voyages Medical Form. No refund will be given for any unused services if excluded from a tour for any of these reasons. The Client must at all times strictly comply with the laws, customs, and foreign exchange and drug regulations of all countries visited. Clients must be in possession of, and are responsible for arranging a valid passport, visa if applicable and any vaccination certificates required for the whole of their journey. Your passport must be valid for 6 months past your return date. The Client is also responsible for all visas, permits and certificates including vaccination certificates and insurance policies required for the whole of the journey. The Client accepts full responsibility for obtaining all such documents and permits, and is solely responsible for any adverse consequences resulting from missing or defective documentation. Any information or advice given by the Company regarding visas, vaccinations, climate, clothing, baggage, special equipment, etc. is given in good faith but Amazing Voyages cannot be held responsible for any of this information and the Company is not responsible for any errors or omissions as to the information provided. To expedite the issuing of Amazing Voyages travel documents please note that all tour related travel documents such as vouchers, itineraries and invoices will be sent via email. Clients bookings are accepted on the understanding that they appreciate the possible risks inherent to adventure travel and that they undertake the tours, treks or expeditions, featured in our programmes, at their own volition. It is also important to understand that the most meticulously planned arrangement can go wrong. After all, many countries where we arrange tours are underdeveloped as far as basic infrastructures are concerned. Conditions are such on some of our tours that there may be occasions when delays, discomforts or unforeseen circumstances will occur. Amazing Voyages cannot accept complaints due to these aspects. a) Where the client does not suffer personal injury, the company accepts liability should any part of the tour arrangements, booked with Amazing Voyages, not be supplied as described in the itinerary. In such cases Amazing Voyages will pay reasonable compensation if the clients enjoyment of the tour arrangements has been adversely affected but will pay no compensation if there has been no fault on the part of Amazing Voyages or its suppliers and the reason for the failure was the client's own fault, the actions of someone unconnected with the tour arrangements or one which neither the company nor its suppliers could have anticipated or avoided, even if all due care had been exercised. b) When the client suffers death or personal injury as a result of an activity forming part of the tour arrangements booked with Amazing Voyages, Amazing Voyages accepts responsibility unless there has been no fault on Amazing Voyage's part or its suppliers and the cause was the clients fault, the action of someone unconnected with the tour arrangements, or one which neither Amazing Voyages nor its suppliers could have anticipated or avoided, even with the exercise of all due care. c) Amazing Voyage's acceptance of liability to pay compensation pursuant to clauses 15(a) and 15(b) is limited, in the case of air travel, rail travel, sea travel or hotel accommodation, to the amount set out in the provisions of, respectively, the Warsaw Convention as amended by the Hague Protocol 1955, the 1961 Berne Convention, the 1974 Athens Convention and the 1962 Paris Convention. d) Amazing Voyage's acceptance of liability in clauses 15(a) and 15(b) above is subject to assignment by the client to Amazing Voyages of the client's rights against any agent, supplier or subcontractor of Amazing Voyages, which is in any way responsible for the unsatisfactory holiday arrangements or the client's death or personal injury. Amazing Voyages, its employees, shareholders, officers, directors, successors, agents and assigns (collectively Amazing Voyages), does not own or operate certain entities which provide goods or services for your trip. It purchases transportation (by aircraft, coach, train, vessel or otherwise), hotel and other lodging accommodations, restaurant, ground handling and other services from various independent suppliers (including from time to time other affiliated Amazing Voyages companies). All such persons and entities are independent contractors. As a result Amazing Voyages is not liable for any negligent or wilful act of any such person or entity or of any third person. I am aware that this affidavit clause is applicable whether travelling by foot, plane, train, car, boat or any other means of transport provided by Amazing Voyages. (hereinafter “The Company”) during the trip that The Company organizes. The Company compels to provide its services with the required diligence. The hours pointed out in the entrance and departure schedules are not guaranteed. Therefore the schedules are subject to be modified by the Company; in this case the Company would not assume any responsibility for the losses, damages or any harm that these delays or modifications may cause to passengers. The Company cannot assume any responsibility for force majeure, climatic phenomena or natural events that may occur before or during the tour, or for any eventuality which may make any trip uncomfortable or difficult, or for any delay or obstruction to a tour in any way and will not warrant failure on part of the company for either total or partial execution of the rendering of the services that the Company has agreed to provide which may have been affected by the aforementioned factors. The Company does not assume responsibility for the risks that the passenger assumes as a consequence of the trip. The Company is not responsible for any psychological condition or health condition of the passengers travelling in any of the means of transport provided, nor for any type of disorder or accident that may occur to passengers as a consequence of this psychological condition or health condition or for the same through any third party or through force majeure. For all trekking/climbing programmes, there will be a £25 additional charge per item, in case of damage to the tent/sleeping bag provided by the company. I hereby declare that I have read and understood the terms and conditions as described above in addition to the Conditions of Sales as outlined by the company on the website/brochure or form provided and that I am fully aware that my signature confirms this declaration. The Client appreciates and acknowledges that the nature of this type of travel requires considerable flexibility and should allow for alternatives. The itinerary provided for each tour is merely representative of the types of activities contemplated, and the company is under no contractual obligation to strictly follow it. It is understood that the route, schedules, itineraries, amenities and mode of transport may be subject to alteration without prior notice due to local circumstances or events, which may include sickness or mechanical breakdown, flight cancellations, strikes, events emanating from political disputes, entry or border difficulties, climate and other unpredictable or unforeseeable circumstances. We cannot accept liability for any cancellations or delays in any of your flights, whether the cancellation or delay is caused by adverse weather conditions, rescheduling of the airline, airport authority and/or action by air traffic controllers, mechanical breakdown or industrial action. Where long flight delays result in lost holiday time, no refunds are given by hotels or suppliers. Similarly, airlines do not offer compensation for flight delays. However, at their discretion, carriers will endeavour to reduce the inconvenience of any delay by providing meals and accommodation, as appropriate for the time of day or night (dependent on local availability). If you incur payments for such services in the event of a delay, Amazing Voyages will not accept responsibility for payment unless we have given our prior consent. Amazing Voyages shall not be liable in any way to the Client for death, bodily injury, illness, damage, delay or other loss or detriment to person or property or for Amazing Voyage's failure to commence, perform and/ or complete any duty owed to the Client if such death, delay, bodily injury (including emotional distress or injury), illness, damage or other loss or detriment to person or property is caused by Act of God, war or war like operations, terrorist activities, civil disputes, labour difficulties, whether or not Amazing Voyages is a party thereto, interference by authorities, political disturbance, howsoever and where so ever any of the same may arise or be caused, riot, insurrection and government restraint, fire, or any other cause whatsoever beyond the reasonable control of Amazing Voyages. Client acknowledges that she/he will be visiting places where the political, cultural and geographical attributes present certain risks, dangers and physical challenges greater than those present in our daily lives. By booking travel with the Company, the Client acknowledges that she/he has considered the potential risks, dangers and challenges, and expressly assumes the risks attendant to such travel conditions. The Client is solely responsible for acquainting her/himself with the customs, weather conditions, physical challenges and laws in effect at each stop along the itinerary, and is encouraged to locate or make contact prior to embarkation with his/her local embassy or consulate in each destination. Although the Company has made a concerted attempt to verify the accuracy of statements made herein , the Company cannot be held responsible for any error, omission or unintentional misrepresentation that may appear in this brochure or on our website. We will provide your personal information, as well as any personal information you provide in relation to the persons whose travel arrangements have been requested by you, to suppliers and carriers to enable the operation of the services requested by you. We do our utmost to protect your personal information. Specific requests such as adjacent or connecting rooms, bedding requests, smoking or non-smoking rooms and special dietary needs should be advised at the time of booking. Please note that every effort will be made to secure your special request; however, they cannot be guaranteed. Quoted programme prices include planning; handling and operational charges are based on current rates of exchange, tariffs and taxes. Amazing Voyages reserves the right to increase tour prices to cover increased costs, tariffs and taxes received after prices are published, and to reflect fluctuations in foreign exchange markets. Amazing Voyages is under no obligation to give breakdown costs involved in any programme. On programs where immediate check-in has not been included in the program price, Amazing Voyages does request that hostels/lodges do their utmost to facilitate this service; however, it is not guaranteed. Most hostels/lodges allow check-in to take place during the mid-afternoon. Should you wish to have your room ready for immediate check-in on arrival; Amazing Voyages can arrange this for an additional charge. On specified programmes there are active tours or some elements of active tours. 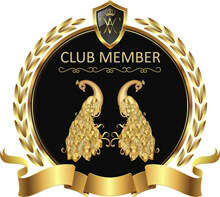 To enjoy these programmes as intended, a minimum level of fitness is required. The required level would be equivalent to what is obtained by routine daily exercise such as golf, jogging, energetic walking, tennis, etc. Activities during the programme could include (but are not limited to) hiking, off-road walking, walking on uneven steep or cobbled streets, horseback riding, cycling, activities taking place at high altitude, off-road mountainous driving and navigating uneven terrain. Amazing Voyages, therefore, will require notice if any participant has any physical or other condition or disability that could create a hazard to himself or herself or to other members of the tour. If the minimum level of fitness is not met for the program selected, Amazing Voyages reserves the right to decline to accept anyone on the trip. Amazing Voyages also reserves the right to remove from the trip, at the participants own expense, anyone whose condition is such that it could create a hazard to himself or herself or others, or otherwise impact the enjoyment of other passengers on the trip. Should you have any questions or need any clarification about a specific tour please ask for details at time of booking. On all programmes, unless otherwise indicated, the maximum age of a child is 11 years 11 months. 12 years or older are considered adults and will be subject to full adult tariffs. Amazing Voyages reserves the right to take photographs during the operation of any programme or part thereof and to use them for promotional purposes. By booking a programme with Amazing Voyages, programme members agree to allow their images to be used in such photographs. Programme members who prefer their images not be used are asked to identify themselves to their Tour leader at the beginning of their programme. For any bookings made within 15 days of departure, there will be a £50.00 fee charged to the file. This last minute booking fee covers our additional costs for couriers, communication, and administration.